TAP 9 oclock to cycle through 4 levels of additional dark filters. 4th Tap is complete darkness Theater Mode. Tap 6 oclock for ambient options. Tap Temp/Event to scroll between weather and next appointment. Tap scrolling weather for update. 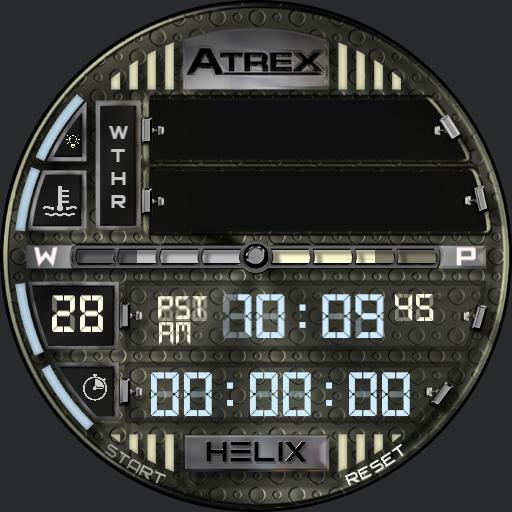 Tap stopwatch or step icon to use step counter or chrono. Tap Start/Reset at bottom to operate chrono. Tap light indicator to turn light on in ambient mode for approx 5 seconds. Shows date , phone and watch battery level.